The art of the Turks. Modernisation as Fiction – Diango H.
Today, sunrise will be at 6:58 a.m. and sunset at 6:18 p.m. It is October 28th of 1985 and I am in Paris. At this point all details are already arranged, this will happen today. Besides me, no one else knows it. The 16th arrondissement of Paris was still sleeping, rue Louis Boilly was quiet and cold, I wasn’t observed or followed and I felt like practicing my walking as an old French man act. At 6:32 a.m., 26 minutes before sunrise I arrived to what once was the hunting lodge of the Duke of Valmy. Before moving to Paris I can’t remember missing the sun, 1984 was my first year living in Paris and it was indeed a terribly dark year. My French wasn’t good enough yet, at the time I couldn’t read the newspapers, or follow the news. At a certain point I was so concerned about the lack of sunlight that I started thinking something terrible must have happened to the world, maybe we were witnessing the beginning of a devastating cataclysm? A kind of multi oceanic tsunami or maybe hundred of volcanoes erupting at once? Or maybe just all these terrible events at once? I honestly imagined the worst. Every morning of 1984 I woke up and went straight to my window looking for some sign that could support my theory. Incomprehensibly everything seemed to be fine, people didn’t look particularly agitated and the behavior of birds was quite regular. Anyway I couldn’t bear these long days, weeks, and months without sun, I couldn’t believe this permanent and thick grey blanket over Paris was tout à fait normal. In the afternoon of October 28th of 1985 Shuinichi Fujikuma and four other gunmen with pistols entered Musée Marmottan and stole among other paintings Impression, soleil levant, the same painting that on this very same day, I planned to steal myself. Until today no one can’t say why Fujikuma needed this painting; I guess it was about the money. For years, after the incident French police and Interpol would theorize that a radical group called Action Directe1 had committed the crime. But, I wondered why would a radical libertarian communist group would have wanted to steal a Monet? What for? I myself wasn’t in it for the money, I just wanted to hang the painting in my bedroom; I just wanted to feel some sun. Today, I can openly confess that I actually wanted to own that specific sun. -6:30 – 6:45 a.m. arriving at Musée Marmottan, if there will be already any visitors queuing: (unlikely happening at this time of the year) avoid any conversation, wear the hat, and pretend talking to myself. -10:00 a.m. museum opens. Stop pretending talking to myself, must keep hat on and move slowly and with confidence to ticket desk, buy ticket (ask in French – do not ask for any discount – smile. Avoid eye contact): Bonjour, je peux acheter un billet pour un adulte s’il vous plaît? Non merci, j’ai visité le musée auparavant. Aujourd’hui, je viens seulement pour voir une peinture. What comes next was the corner stone of my plan, every single step wrote here is mandatory. I called this process exchanged retina2, and I practiced it over an over for an entire year. -10:20 – 10:25 a.m. must stand in front of the painting. Be as close as allowed to the painting. Start looking directly to the sun, just to the sun, try to avoid any distraction for 30 seconds, no blinking. Then after the 30th second one blink and look directly to my watch, look for 30 seconds just to the dial of the watch, no blinking. Repeat this complete sequence for one hour until the sun in the painting becomes my watch and my watch becomes the sun in the painting. -11:25 – 11:30 a.m. retinas should already retain both images, Monet’s sun and my arm wrist’s watch. Actual capacity of seeing will be at least 90% gone. Expecting flashes of only these two images, alternations of watch and sun, sun and watch. Dizziness will happen, walking will get harder, orientation will be partially lost. Under these circumstances shouldn’t leave the room nor the museum. -11:50 – 12:00 a.m. exchange will be completed. My retinas will retain only the sun. Must leave the museum quietly. None of the visitors or the museum staff will notice that the sun of Impression, soleil levant is now instead a watch. At 11:45 a.m. I was hardly standing, without vision and with a terrible dizziness, by then half of my plan was successfully completed. I was still inside the room of the Impression, soleil levant when suddenly I aggressively heard someone shouting -Tout le monde dehors , maintenant, vous putain de touriste, oui, vous sortir maintenant! I didn’t understand a word, but I automatically assumed I was caught. Someone noticed that I had stolen the sun, I can’t see, I can’t move, I am disoriented; I tried harder to look at the person that was shouting and was then when I saw something that scared me to death. The shouting man was standing just in front of me, I saw him without head, he had on his shoulders my watch and the Monet’s sun, both images together, he looked like a two headed snake, I was terrified, he started shouting – sors de mon chemin! sors de mon chemin! I was paralyzed, I didn’t move, he was very close to me, his breath was a mixture of mineral oil and burned earth; I thought I was hallucinating when another man said in a language that I’ve never heard before -Kare wa sore o motte imasu!!! In that moment I realized that I was entirely lost. Seconds later I fainted. I cannot remember what happened after that, I don’t know for how long I was unconscious. I am writing to you from Istanbul 30 years after the 28th of October of 1985. Since the day I received your letter I’ve been trying to remember when was the first time that I saw Monet’s Impression, soleil levant, I am not sure if I saw it first in a Jehovah’s Witnesses brochure or if it was on a street poster. The truth is that in 1985 there were images of suns all over Paris, I saw suns everywhere that was all I saw. The eyes of the Lion de Belfort, the wet stones of Rue de Constantine, the Parisian street lamps, the flickering chandeliers of the Opéra Garnier, in 1985 everything in Paris was or could have been a sun for me – but still today I wonder what happened to the real sun? Do you think the painting that hangs today in Musée Marmottan is the original Impression, soleil levant? Where is the watch you used the 28th of October of 1985? Do you have the sun? As you know Impression, soleil levant has been found years ago and it is today exhibited in one of the dark and dusty rooms of Musée Marmottan. I found your question regarding the sun quite cynical; you know the sun was acquired in 1988 by the same investor’s group that later also bought all living wild animals. Please do not contact me again. Inside this envelope you can also find my watch, the same watch that I used on the 28th of October of 1985. Please read carefully the inscription3 engraved on its back and try not to blink while reading it. 1 Action Directe – (AD) was a French revolutionary group which committed a series of assassinations and violent attacks in France between 1979 and 1987. Members of Action directe considered themselves libertarian communist who had formed an “urban guerrilla organization”. The French government banned the group. 2 Retina – late Middle English: from medieval Latin, from Latin rete ‘net’. 3 Watch engraving: “Le secret des grandes fortunes sans cause apparente est un crime oublié, parce qu’il a été proprement fait.” (The secret of a great success for which you are at a loss to account is a crime that has never been found out, because it was properly executed.) Le Père Goriot, La Comédie Humaine. Honoré de Balzac 1834. The question concerning the definition of art has not been inseparably linked to that of who in fact owns it since the onset of modernism. At the same time, however, it is anything but easy to clarify art’s ownership structures. And it is no wonder when it is claimed by various sides, by the state and capital, religion and enlightenment, by those for whom art is produced and the institutions they have established, by its connoisseurs and the proverbial ‘people’ to whom to directs itself in all its alleged generality and for whom it is supposed to be available everywhere and at any time without presuppositions. It is firstly the artists themselves – especially in practice – who lay claim to art because no others ‘could’ and can as readily and as freely mandate it. The more self-assured the claims to art are advanced and the more absolutely they are enforced, the more controversial it becomes and consequently less ‘available’. There is no such thing as the art of the Turks just as there is no such thing as the art of the Germans, of the Vatican, the Sheikha Hoor Al-Qasimi or an art of critical practice. “The Art of the Turks” itself can only be a fiction. Ever since the Republic of Turkey was proclaimed 29 October 1923, it has been regarded as a successful example of a comprehensive political, economic, cultural and social modernisation from above. Modelled on Western national states and also oriented culturally, artistically, legally and scientifically on the West, Mustafa Kemal Atatürk, who Life Magazine celebrated as “the world’s best dictator” in October 1938, set an equally widespread and ambivalent modernisation project in motion. The declared goal was not only the creation of the modern Republic of Turkey but also the formation of a contemporary Turkish identity. Art was one of the means employed to promote an identificational national idea. While the young republic strategically broke with the Ottoman tradition, as it were, the narrative of modern art in Turkey reaches far back and is inseparable from the history of late Ottoman society, its art and cultures, but especially from the political reforms advocated by the Sultanate (“Tanzimât”) and the demand for social change and modernisation as propagated by the newly emergent bourgeoisie and particularly in the circle of the Young Turks movement. While a contemporary national leader conversely makes the most of Ottoman atmosphere and is even considered as a new sultan or caliph, the question should be posed concerning the historical legitimacy of this concept and the price of its enforcement. The Art of the Turks correspondingly develops its fiction around the years 1839, when photography was invented and shortly thereafter already disseminated and discussed in Constantinople’s media, and 1936, when Sabiha Gökçen, Mustafa Kemal’s adopted daughter, undertook her first solo flight in conjunction with her training to become a fighter pilot while Bruno Taut took up his professorship at Istanbul Art Academy and began influencing architectural education there. 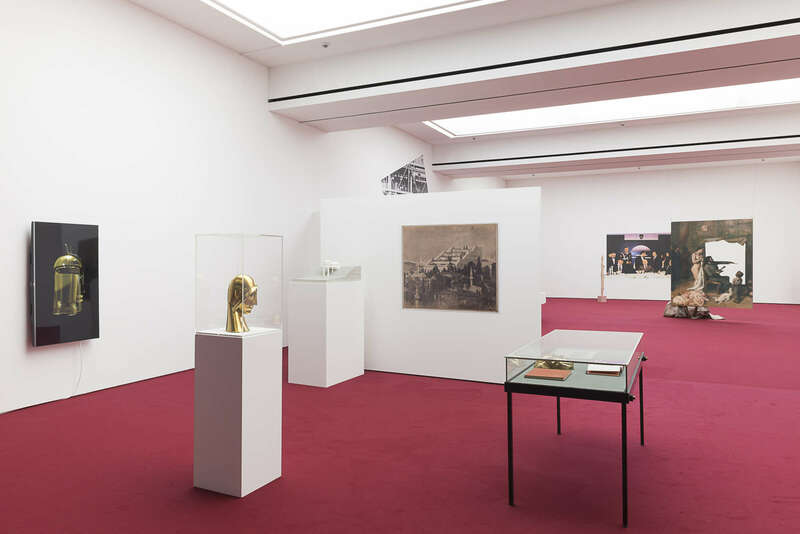 The exhibition encompasses a period of time that – and not only from a Turkish perspective – can be considered explosive for the project of an aesthetic and political ‘modernism’. The Art of the Turks develops a scenario around seven key events that define the artistic continuity between the Late Ottoman Empire and the young Republic of Turkey. They will be viewed at the same time within the tension field between East and West, renewal and preservation, individual cultural demands and social circumstances. This can be exemplarily seen in such ideologies as the Western European Orientalism fashion of the latter half of the 19th century, Kemalism’s political, economic and cultural orientation on the West, the influences of religion and secularism, nationalism and liberalism as well as the aesthetically, culturally and political divergent demands on renewal and the thereby triggered often hard to describe resultant progressive and reactionary effects. The seven key scenes concern events dating from 1866 (Halil Şerif commissions Gustave Courbet with the nearly mythic painting L’origine du monde only to sell it two years later with his wide-ranging collection (it is said that he was bankrupt but also that Halil Şerif wanted to finance a Young Turks putsch with the sales proceeds; 1889 (Halil paints a portrait referencing John Singer Sargent’s Madame X as a concealed critique of conventional Orientalism); 1893 (Sultan and fanatic photography collector Abdul Hamid II sends 51 albums each featuring 1820 photographs in order to represent the Ottoman Empire around the world); 1896 (the artist, author and soldier Ahmet Ziya Akbulut reflects on forms and applications of perspective representation from an artistic and religious point of view in his Handbook of Practical Perspective); 1899 (Prince Abdülmecid paints two paintings of a foggy Bosporus that seen as a critique of progressivism), 1902 (the newspaper La Turquie provides an account of the exhibition of three drawings by the 15-year-old Hellé Patriano in the window of his father’s café in Constantinople’s Pera district) and 1927 (the Austrian architect Clemens Holzmeister, professor for architecture at Düsseldorf Art Academy simultaneously develops his plans for a monument to the right-wing terrorist Albert Leo Schlageter in Düsseldorf Golzheim that British officials ordered destroyed in 1946 and his plans for the seat of government in Ankara; the first realised building is the Turkish Ministry of Defence). These key scenes make up a kind of exposé and framework for specially commissioned as well as existing artistic contributions with an accent on Turkish artists or artists living in Turkey. These works in a variety of forms range from classic works of art to the performative lecture. 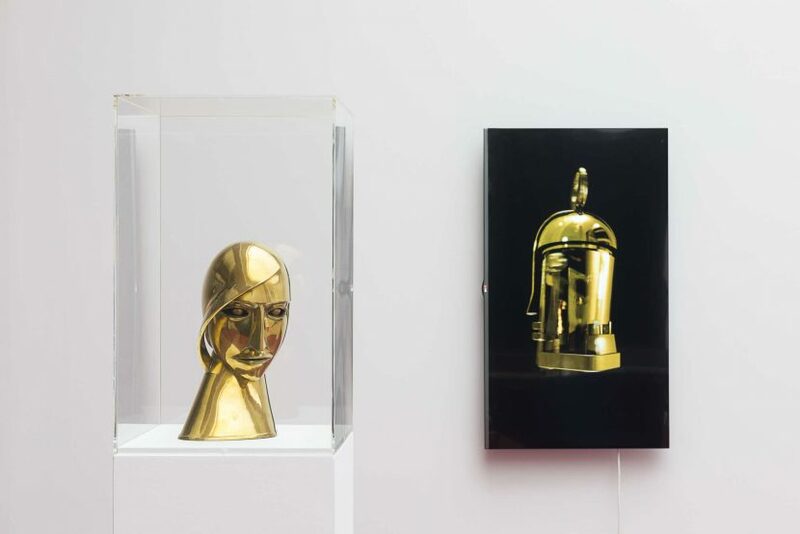 Together with historical and contemporary art and design objects, publications, photographic and textual documents as well as architectural models, they create the fiction of an “Art of the Turks”.